Click image above to see larger image. View from Back will be uploaded soon. 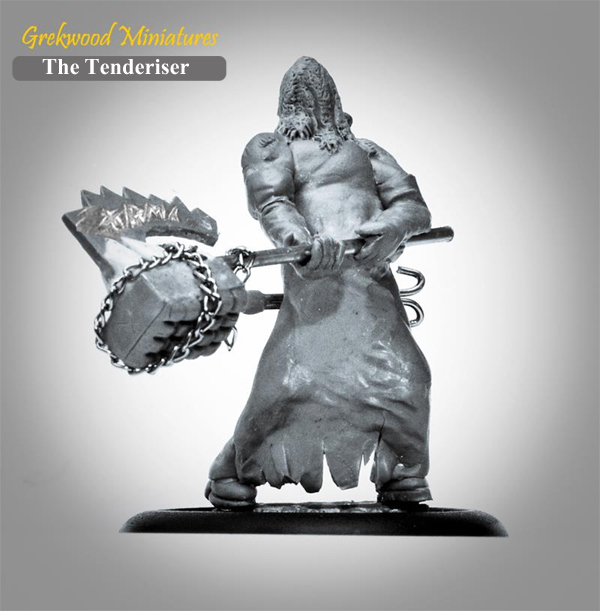 The Tenderiser is a twist on a classic executioner, with an oversized hammer to soften up the enemy! 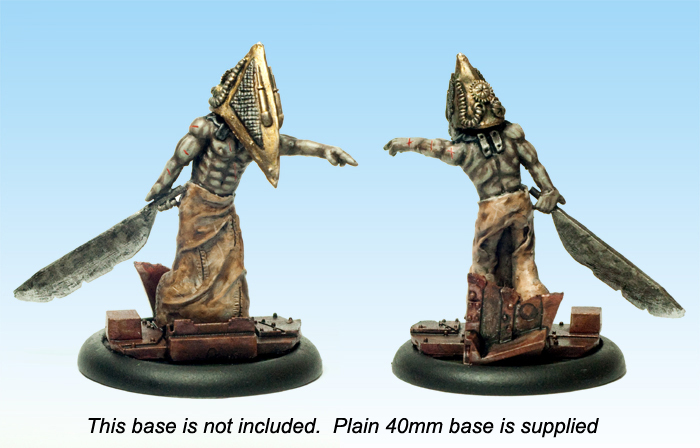 He stands at 9ft tall (46mm total) and is of a demonish nature. He comes in four parts, main body, tenderising hammer, hammer chain, and optional meat hooks. Assemby required. Comes unpainted. 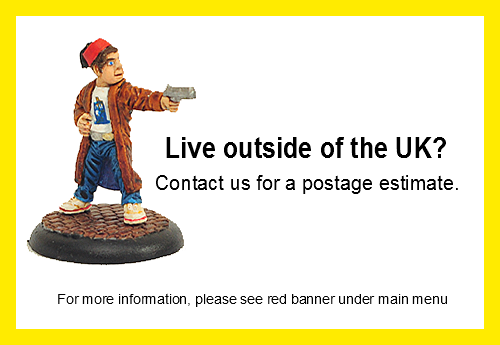 Plain 40mm plastic slotted base provided.